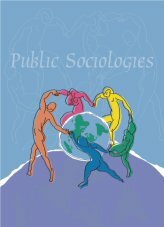 Michael Burawoy, "Making Public Sociology: Its Pitfalls and Its Possibilities." Huw Beynon, "Engaging Labour: British Sociology 1945-2010." Enrique de la Garza Toledo, "Searching for Mexico's Lost Labor Subject: Histoiricxal asnd Biographical Milestones in the Constitution of the Sociology of Work in Mexico." Mihai Varga, "An Anatomy of 'Collective Anti-Collectivism: Labor Sociology in Ukraine and Romania." Michael Burawoy, "On Uncompromising Pessimism: Response to my Critics."